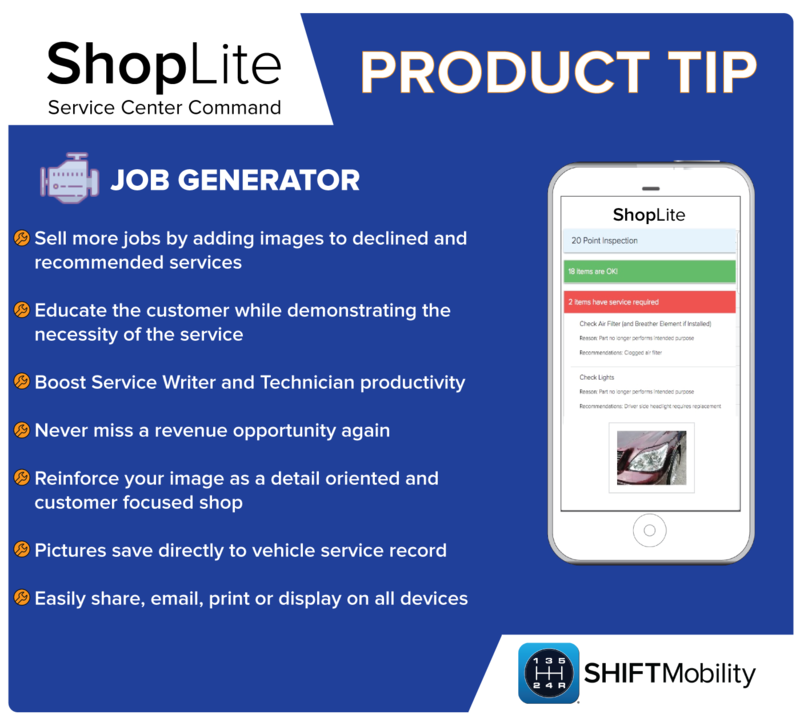 Product Tip: Job Generator - ShiftMobility Inc.
It’s said that a picture is worth a thousand words, which is why ShopLite allows you to add snap a picture of that leaky oil pan gasket and show, rather than simply tell, your customers exactly what the problem is. Seize up-sell opportunities by leveraging images of vehicle problem areas to sell previous recommendations, declined services, and mileage based factory maintenance. 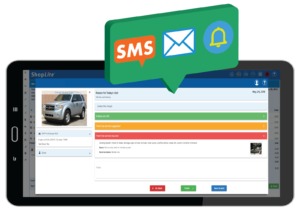 Remember, for auto repair customers seeing isn’t just believing, it’s often the difference between selling a job or not.